Congratulations, you’ve made it to Friday (woo hoo!) 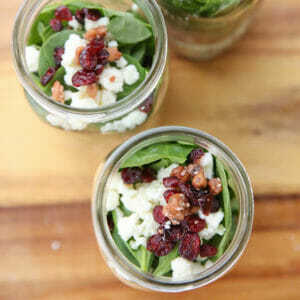 Here’s one of my favorite quick and easy salad jar recipes to take you into the weekend. 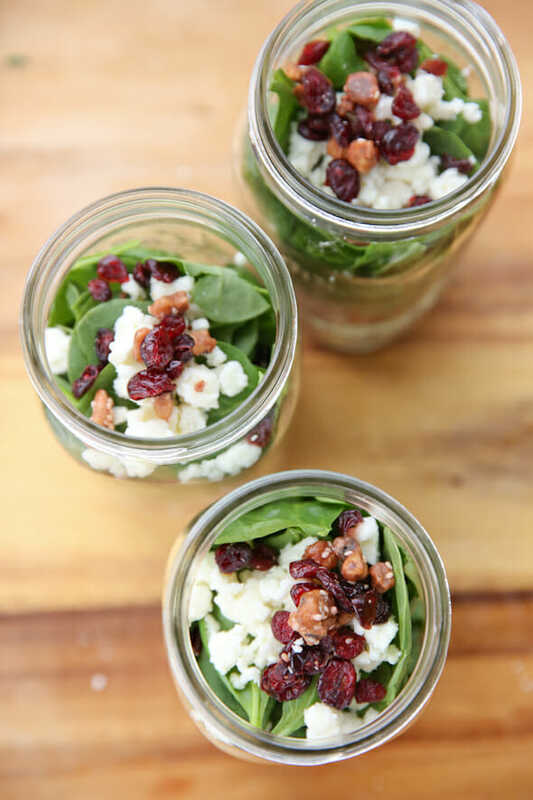 This one is the perfect combo of sweet and savory, and packs a flavor punch with salty bacon and feta, and sweet cranberries, and fresh apple. I’ve been obsessed with this one lately, and it has the most killer dressing ever. I’m going to skip the entertaining monologue here and get right to it. Always start with good chicken when you’re making salads like this (or any salad.) It makes such a difference in the overall flavor of the salad. I like to grill my chicken, or grab a rotisserie chicken from Costco, or at the very least, roast some in the oven. Just make sure to season it! 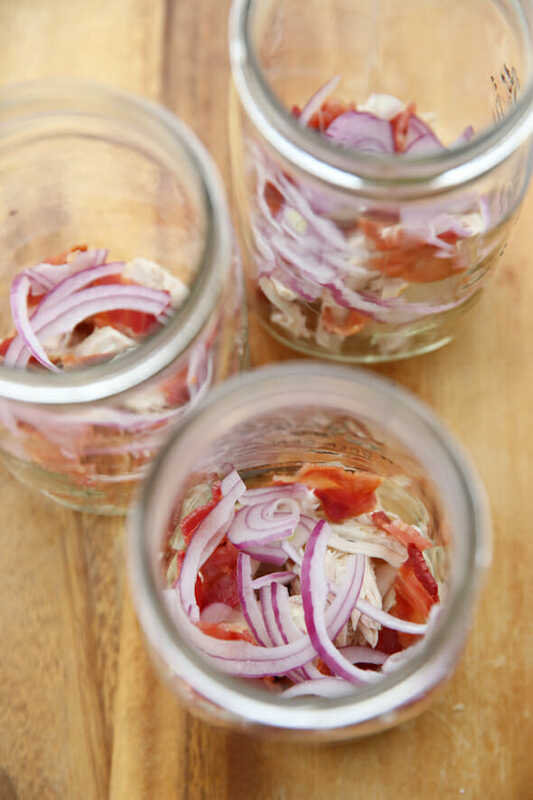 I layer chopped chicken, crumbled bacon, and thinly sliced red onion into my jars. I actually love the pre-cooked bacon you just warm up in the microwave; it works great here (and it’s fairly low in calories). You can choose any greens you like. 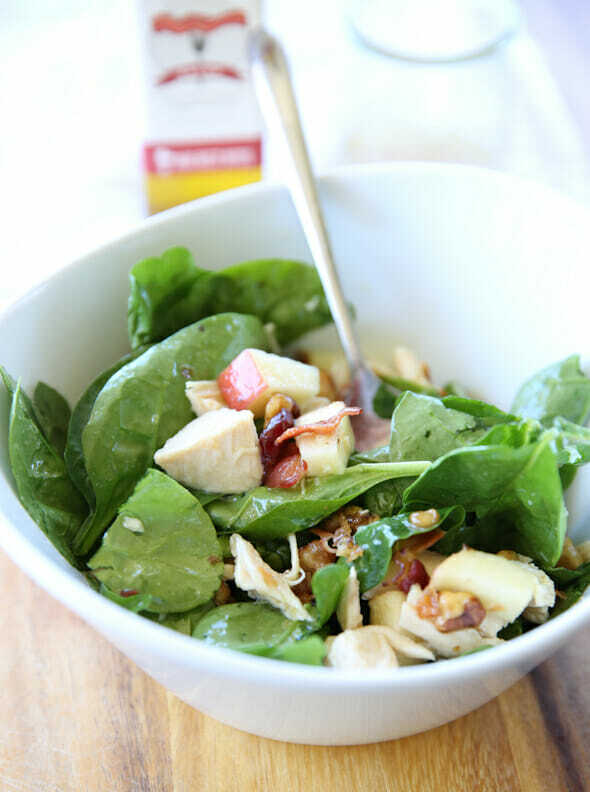 Spinach is a good choice for this combo, but you could toss in some kale or broccoli slaw or whatever. On top, I sprinkle in some reduced fat feta, which adds a great tangy bite. And since this salad has a ton of sweet and savory going, I love dried cranberries and caramelized nuts. I just buy these bags of ready-made nuts and fruit. You can usually find them in the produce section, or by the croutons and salad toppings. 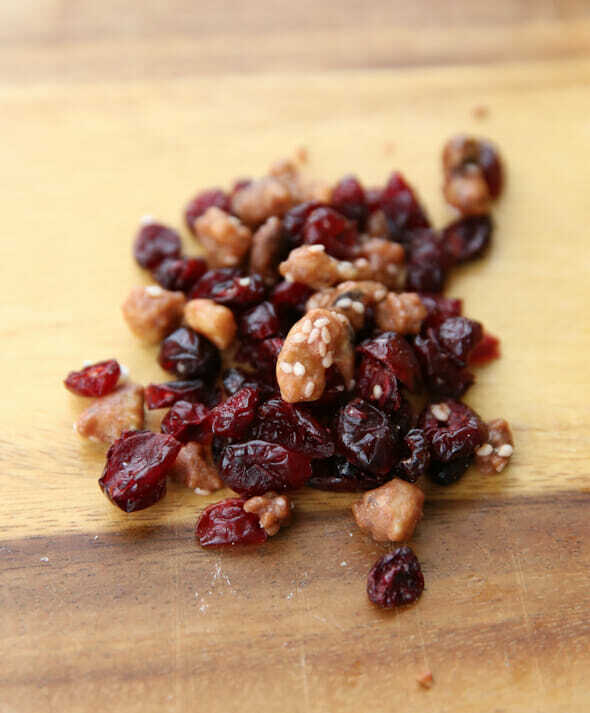 It’s not the same as making your own candied nuts, but it’s quick, easy, and they have a fraction of the calories as the homemade type so these are totally doable if you’re watching your diet. All of that gets piled in the jars. The very last component, which I failed to include in photographs, is an apple. I don’t put them in the jars because I like them nice and fresh. I just dice up a handful of crisp, juicy apple and toss it in there. When I make my kids’ lunches in the morning, I often slice up apples for those, so I just keep a chunk of the apple for my lunch and it all works out. It’s also really great with avocado if you have any on hand. The thing that pulls this all together is my Maple Bacon Vinaigrette. Don’t you love that whisk? This is seriously one of my favorite jar salads these days. All of the crunch and the sweet and the tang…it’s crazy good. 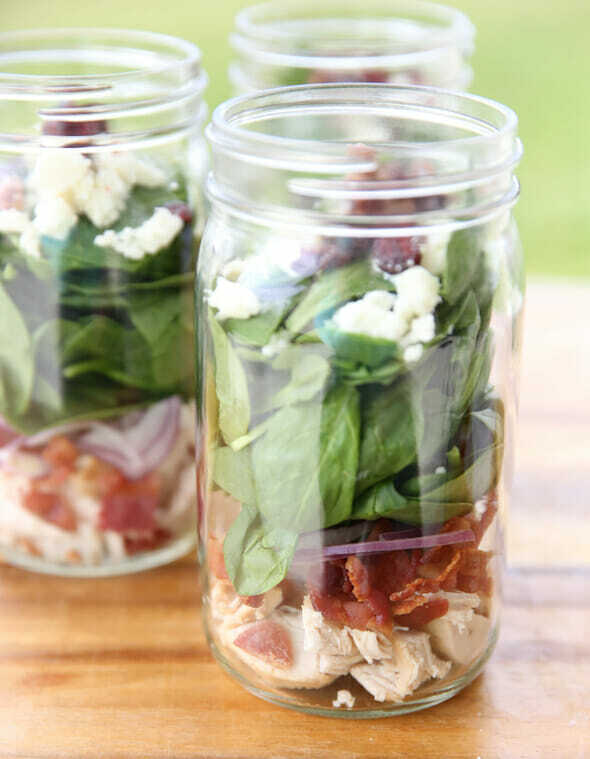 The perfect combo of sweet and savory, these Chicken Bacon Salad jars can be prepped ahead of time and travel well, too! Whisk all ingredients together and toss over salad. Since olive oil coagulates when refrigerated, it’s best to make this dressing fresh. If you store it refrigerated, just place the jar in warm water to bring back to room temp before using again. Layer all ingredients except apple and avocado into a quart size mason jar. When ready to eat, empty contents into a bowl add apple (and avocado if you’re using it) and dress with dressing. Season with salt and pepper to taste. Like Salad Jars? Here’s a few more! Happy Day! 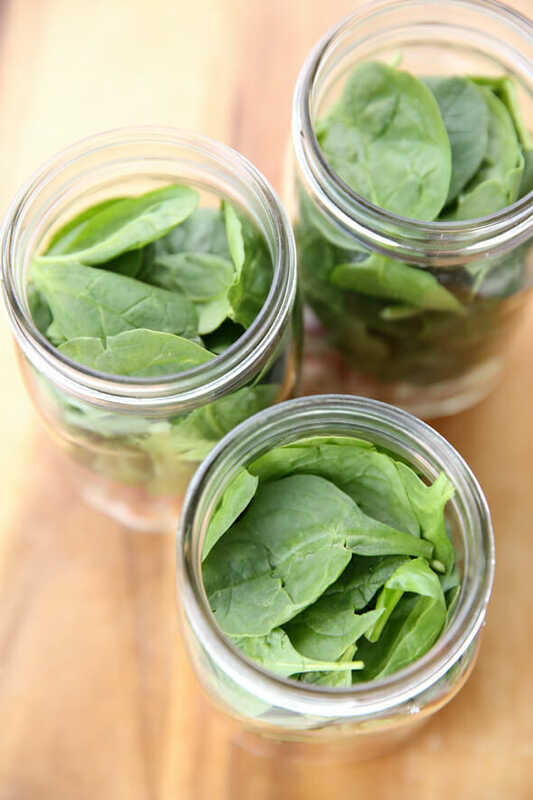 I love your salad jar combinations … some of my very favorite posts!! 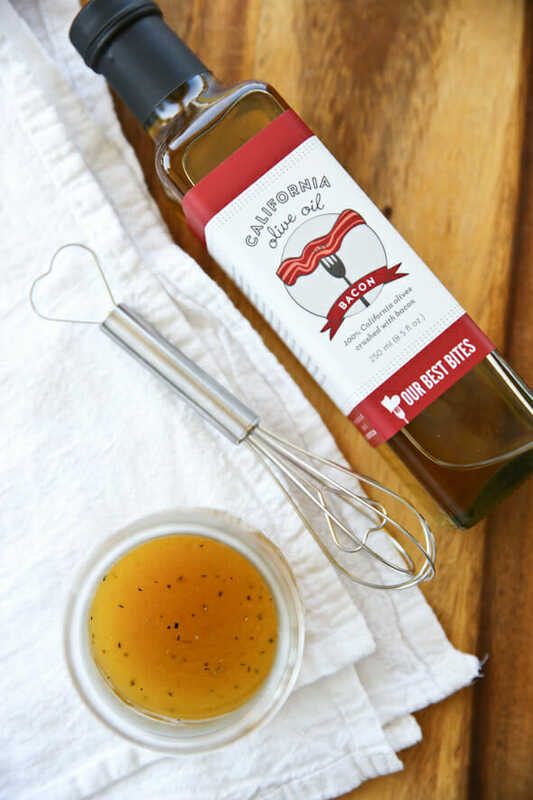 And this maple bacon dressing is so amazing it kinda turns salad into a treat, thanks for sharing!! Salad Jars were all my summer lunches last year. They were my best friends. I need to get back into them again. I always forget how good they are. This one looks like a great one to get back into it with! These look yummy! I love craisins in salads. I’ve been making maple-apple cider vinaigrette but I really need to get that bacon oil to take it over the top! Would the vinaigrette be good with plain olive oil? I don’t have bacon flavored. I’m desperately looking for a new recipe for lunch box. This feels so good. Delicious and healthy. Best blog of the day my lovely. I love you! I can see the sunshine in these bottles. Very nice lovely idea. BTW, What size of the jar did you use?